banditmanchot.com wish to bring your attention to the importance and value of Responsible Gaming, as well as the negativity and dangers of Compulsive Gaming. 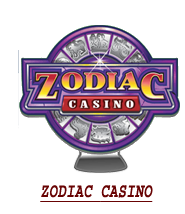 Our guide of game’s casino online is at your disposition to guide you through the different gaming sites online, we offer you advise for a best entertainment on the net, while remaining in a responsible gaming dynamics. 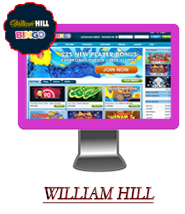 We specially tip off that gaming is an entertainment and if it becomes more important for you than a simple diversion and it’s getting more importance in your life as compulsive, then you will also find on banditmanchot.com assistant and support to help you. 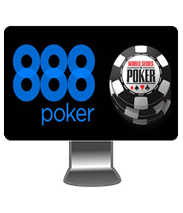 For your own safety, it’s our duty to inform you about dangers of online games and casinos game’s addiction. banditmanchot.com wants to warn you that games can train you into the hell. In fact, for some people, the game can quickly become a dangerous addiction and create serious financials, personals, family and / or professional troubles. This is our job and ethic to warn you and help you not having this kind of trouble. Play for your diversion without having the hope to absolutely win money. Don’t play if you have any financials trouble, don’t play to resolve your troubles! Keep your mind opened to dangers on which you could be exposed gaming too much time, too often and with too much money. Define a small weekly or monthly budget based on your income to play. The defined budget to play has to be outside of any payments of rent, bills (food, gas, electricity…), or others family activities or personals. Don’t play ever more than your initial budget. Monitor the time you spend playing online and fix a limit time not to exceed. Do an overview on your cash each end of month and see you lost or win. The money earned can be kept and not necessarily replayed. Don’t let games taking too much place in your personal, familial or professional life. The game is a diversion, not a need, an excuse or a way out. Don’t try to fix or forget your personal troubles through the game. Do some breaks, go to vacancies or sometimes get step back from your passion to regularly evaluate if you are still “responsible gambler” or if you have a tendency to compulsion. Be attentive to advices we give you, be attentive to advices given to you by specialists and on specialized sites and be listening to advices of people close to you! Very fast and can lose all sense of pleasure and entertainment. When he plays systematically, automatically and / or abnormally. When he doesn’t have any more fun to play and sees game as a need, a necessity or an obligation. When he doesn’t take care of his financials, doesn’t know how much he spends and/or overpassed his initial budget defined. When he spends too much time gaming. When his entourage tell him that he spends too much time or money gaming. When he expends more and more money on games. When he borrows money to his bank or entourage and accumulates debts. If he denies explaining his behavior with gaming, he refuses that he suffers of gaming troubles. When he finds excuses, justifies or/and lies to continue playing. If he suffers a kind of depression and/or euphoria’s moments that can award his entourage. When he is dissocialized: prefers game as a family party or other social activity. If he can get upset or offended when we told him of our concerns about his behavior. If he minimizes the game’s impact on his expends and boasts the smallest gain he wins. If he has any doubt whatsoever on its own behavior through play. The list of troubles because of money’s game addiction is not exhaustive! This list is almost the same as the drugs addiction’s list because money’s games can in fact be considered as having same attractions and inconveniences as a drug. Also, player can become “addicted”, so be advised and beware! If you think you need help, numerous of services exist to listen to you speaking about your problems and concerns. You can start by awareness of the problem visiting the sites listed below. Then you can contact telephone numbers at your service to speak about your concerns with a specialist. Compulsive gambling is not a weakness or a lack of character, and you must not be ashamed in any circumstances to seek help and support! But it’s a difficult process, quiet admirable. 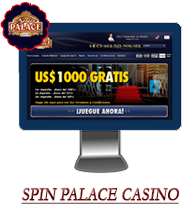 If you think that Self-Exclusion of online casinos is possible temporary or definitively to avoid you to any access on game, so you could manage better the problem. If you have any doubts about your play, if your family or others have expressed to you doubts, this must be taken seriously and we invite you to find help in the links and phone numbers below. Similarly, if you have doubts on how to play one of your relatives or friends, you can also bring your assistance, through links below. The online game must remain an entertaining and fun and this should be no doubt for you, this is our most important advice as a guide to online casinos.